The Oasis Church, an Elim N.Z. church, was planted by Ps. Bruce and Julie Collingwood when God gave them a vision to start a church in Napier City. The first service was held in what was the Wycliffe Intermediate School on Wycliffe Street, on the 23rd of January 1999. In addition to Sunday morning ministry, over the years the church has grown to support a wide range of ministries including an annual international mission trip, regular outreaches, a full range of small groups including Lifegroups, Connect groups and Service groups that cater for everybody. The Oasis Church is a contemporary relevant city and community church. We are just one, of many Elim Churches, spread throughout New Zealand and around the world. 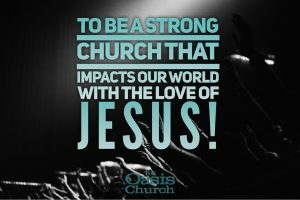 The Oasis Church is made up of people of all different ages and stages, cultures and backgrounds – all coming together to worship God, grow in our faith and relationships, and serve our community. We are a contemporary church and dress in an informal manner. Our minister will not be in robes. We are more concerned about you being comfortable and relaxed than the clothes you wear, so come as you are! We believe your relationship with God is important. We endeavor to present our services in a creative and fresh way that encourages you on your journey to know God. Our services have contemporary music and relevant teaching. If you have school aged children, they will be looked after and have fun. On the 1st Sunday of every month we celebrate communion. This is simply a time to remember the sacrifice of Christ. Our services also include an opportunity to give financially, which we call tithes and offerings. The Oasis Church is a contemporary church with modern music. While we value our Christian heritage which includes songs from the centuries before, we appreciate that different people like different types of music. You will enjoy this time in the service! During the music time, many people will stand, sing and raise their arms. This is a way that some people like to express themselves. If you feel comfortable, feel free to join in or simply stay seated and just enjoy the music. Do you have to do anything ? You are our valued guest. Please sit back, relax and enjoy your time with us. 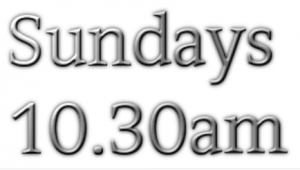 After the service, we would love to connect with you over morning tea, which is provided for all after the service. Each service we endeavor to provide the opportunity for people to become Christians. A Christian is simply a follower of Christ. At the end of most services, we might invite anyone that would like to make this commitment to do so. During this time, if you would like to make that commitment, we will ask that you stand as an acknowledgment of your commitment. If you do make this decision you may be asked to go into a room with our evangelist to have a brief discussion and pray for you. If you have made that commitment for the first time, we would love to meet with you at the end of the service and answer any questions you may have. If you do not feel ready to make that commitment, that is fine, please enjoy yourself. We acknowledge God as the ultimate leader and supreme authority over The Oasis Church and the Elim movement as a whole, including over this local Elim Church. God has all wisdom, all power, all knowledge, all truth and all of everything else that is positive and good. We seek His input and direction for everything we want to do and for every decision we need to make. We are a growing multi-cultural pentecostal christian church that seeks to help people holistically. in Napier City, that’s making such a positive impact on our community that they know we’re here and want us to stay. Including being a well used community centre meeting not only spiritual needs but helping bring wholeness and health to other areas of peoples lives.